It is common for intense competion to exist between two leading music directors. But that does not mean they do not extend professional courtesies to each other when necessary. Sometimes, they also happen to be good friends, as is the case between Thaman and Mickey J Meyer. 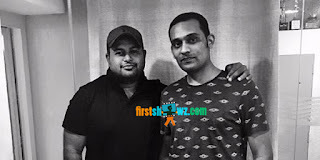 In a classic example of friendship over competition, music director Thaman sang a song in the movie ‘Okka Ammayi Thappa’, a film for which Mickey J Meyer has composed the music. Sundeep Kishan is the hero in this movie and Thaman’s song will be used for his introduction in the movie. 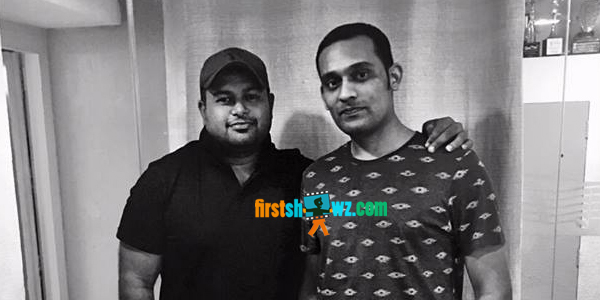 ” The introduction song is very peppy and I felt Thaman’s voice would be perfect for the song. So I asked and he immediately accepted. I thank him for being so gracious and sportive”, said Mickey. Nithya Menen is the heroine in this movie. The film’s talkie part has been wrapped up and only two songs remain to be shot. The total shoot will be wrapped up by the end of this month. Rajasimha Thadinada is making his debut as a director with this project. He has worked as a writer for many successful films in the past. Well known Hindi actor Ravi Kishen is going to be seen as the villain. “This is a commercial entertainer with a unique plot. Sundeep Kishan and Nithya Menen have given great performances and Chota K Naidu’s cinematography is a big asset”, said director Rajasimha Thadinada. Sundeep Kishan, Nithya Menen, Ravi Kishen, Ali,Ajay, Thanikella Bharani, Brahmaji, Rao Ramesh, Rahul Dev, Saptagiri, Thagubothu Ramesh, Nalini and other senior actors will be seen in this film. Cinematography: Chota K Naidu , Art : Chinna, Music: Mickey J Meyer , Editing : Goutham Raju , Lyrics : Sri Mani, Shashi Jyothsna and Dr. Meegada Ramalinga Sharma, Executive Producer : Alla Rambabu, Co – Producer : Madhavi Vasipalli, Producer: Bogadhi Anji Reddy , Story – Screenplay -Direction : Rajasimha Thadinada.